Of all the things you wear, your smile is the most important! Have you ever thought of enhancing, or even transforming yours? If so, you’ve come to the right place. Our cosmetic dentist in Lafayette is ready to take good care of you. We Create Smiles That are Healthy and Beautiful! Cosmetic dentistry is a term used to describe any dentistry that improves the appearance of the teeth. This includes veneers, tooth whitening, white fillings, and much more. The goal of cosmetic dentistry in our Lafayette practice is to create beautiful smiles. From tooth whitening to straightening and reshaping your teeth, we have the expertise to help you achieve the beautiful smile you’ve always wanted. We create smiles that look beautiful and, importantly, function well for the long term. We always consider your overall health and best interest before we develop your treatment plan. From this starting point, a beautiful smile can follow. Our cosmetic treatments are all provided by our friendly and attentive team, within the comfort and convenience of the Colorado Healthy Smiles’ office. When you entrust your cosmetic dental care to us, you’ll be in wonderfully skillful and caring hands. Talk to a Lafayette cosmetic dentist today. Porcelain Veneers Veneers are custom-made shells of tooth-colored materials designed to change the shape, color, size and length of the teeth. By repairing and improving these features, veneers placement ultimately improves your overall appearance. Dental Bonding Dental bonding is the application of tooth-colored resin materials using special adhesives and a high-intensive curing light. This improves the appearance of a chipped or discolored tooth. Teeth Whitening Teeth whitening treatments gently remove stains and improve the overall shade of your teeth, while aiming for long-lasting results. Dental Implants Dental implants can be an excellent way to replace a missing tooth or teeth. They are small, cleverly engineered titanium screws used to support the replacement of a missing tooth or teeth, such as a crown or a bridge. Crowns Crowns are tooth-shaped caps specially made to fit over a front or a back tooth. Usually, our treatments take two visits to complete. 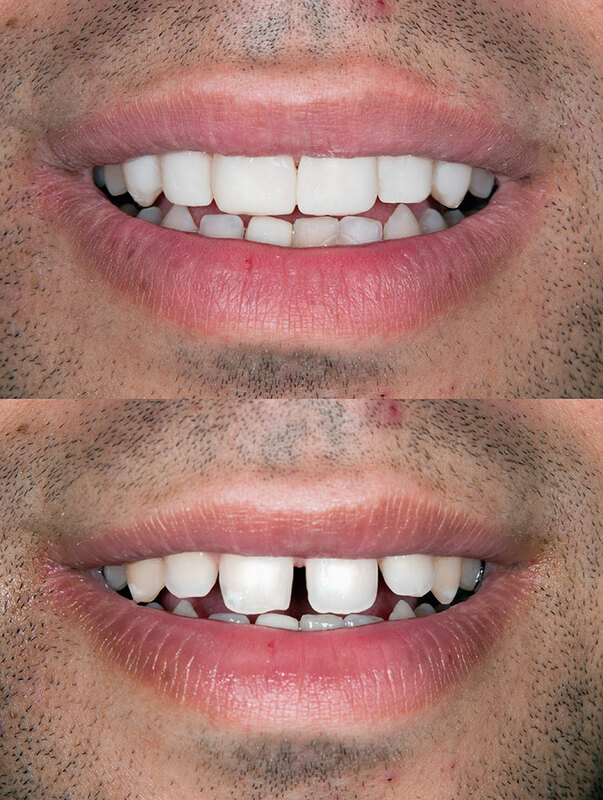 Bridges In more severe cases of tooth loss, bridgework may be necessary to preserve the patient’s facial structure, chewing ability, and natural smile. They literally “bridge” the gap created by one or more teeth. Tooth-Colored Fillings Tooth-colored fillings restore or mimic the natural appearance of the tooth. They are used for decayed or fractured teeth while preventing further decay. Invisalign Teeth Straightening Advancements in cosmetic dentistry allow greater levels of concenience in teeth realignment. Invisalign uses removable and nearly visible aligners, allowing a relatively comfortable and discreet treatment. To schedule a visit, feel free to send a message or call us at 303-469-3344.